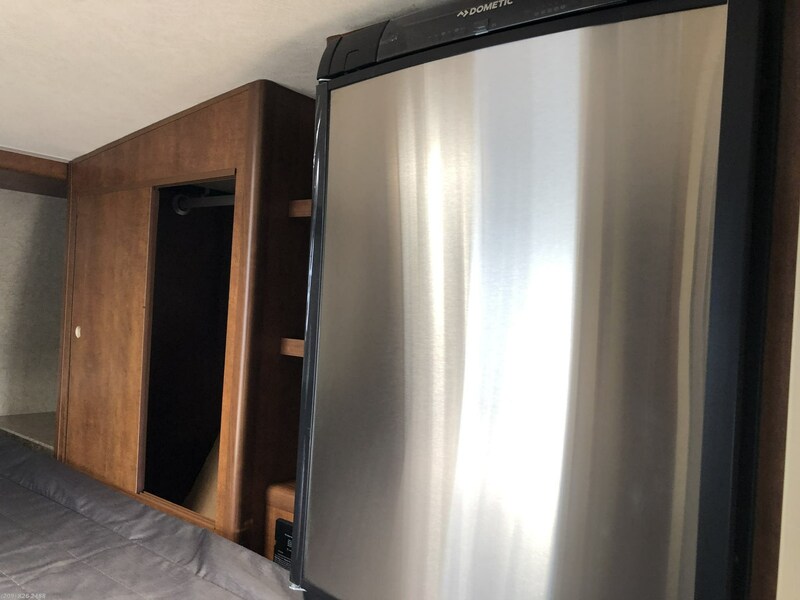 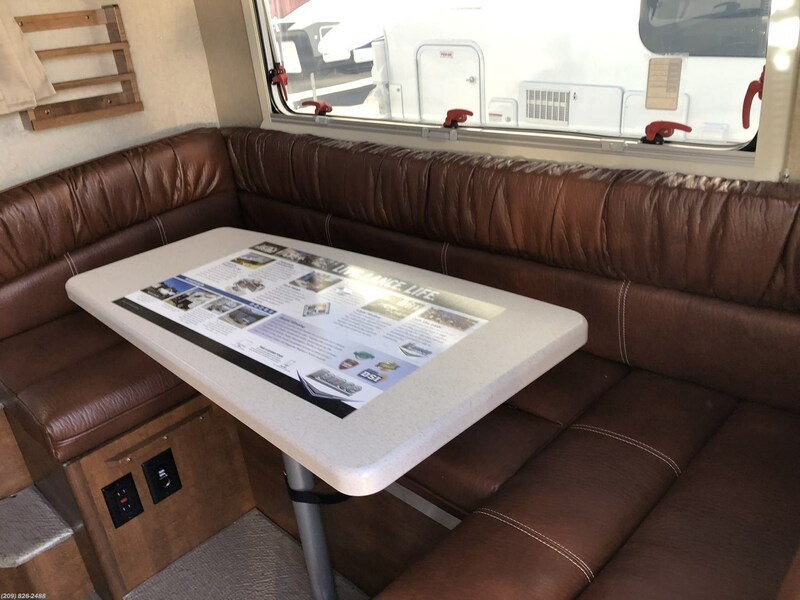 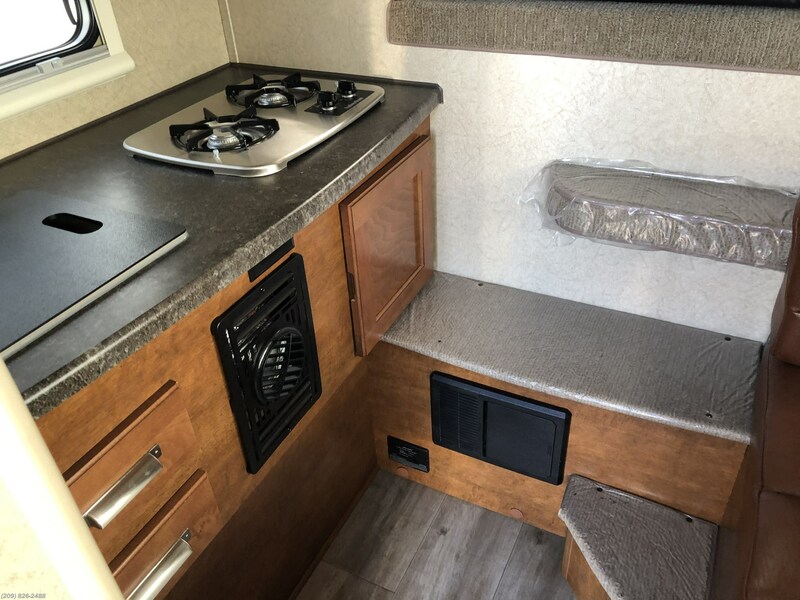 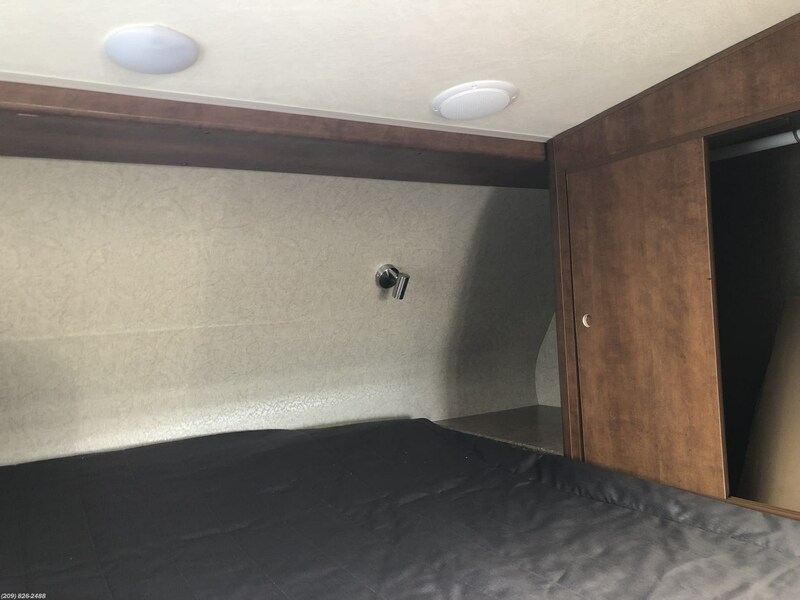 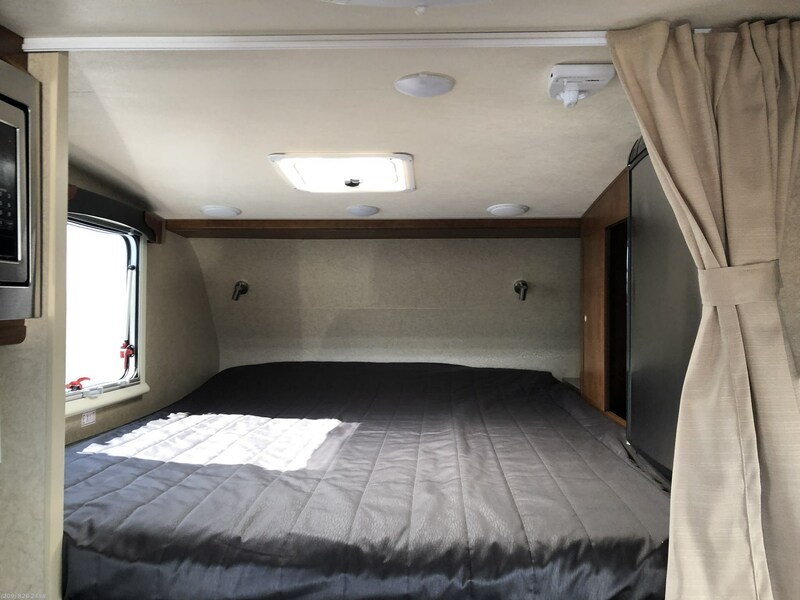 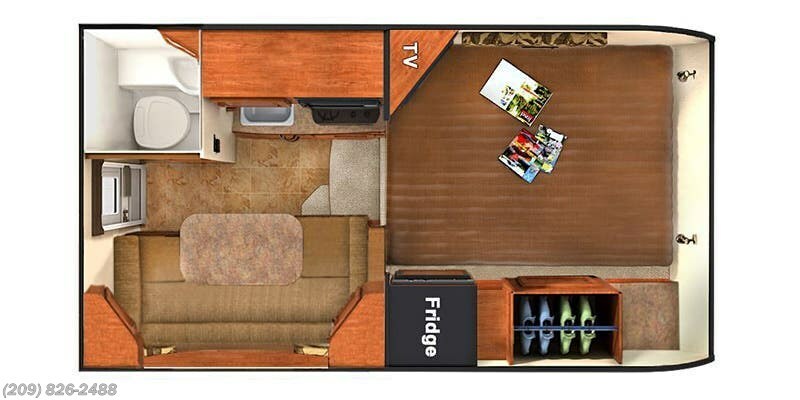 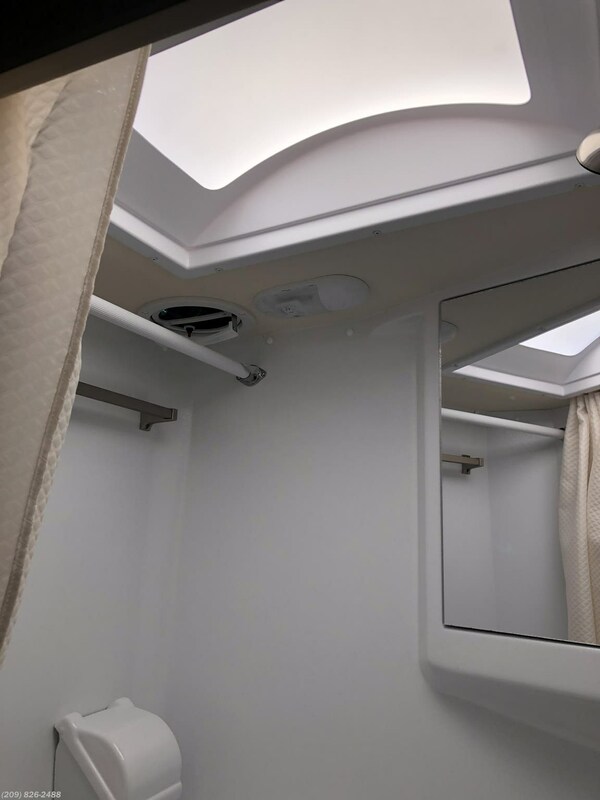 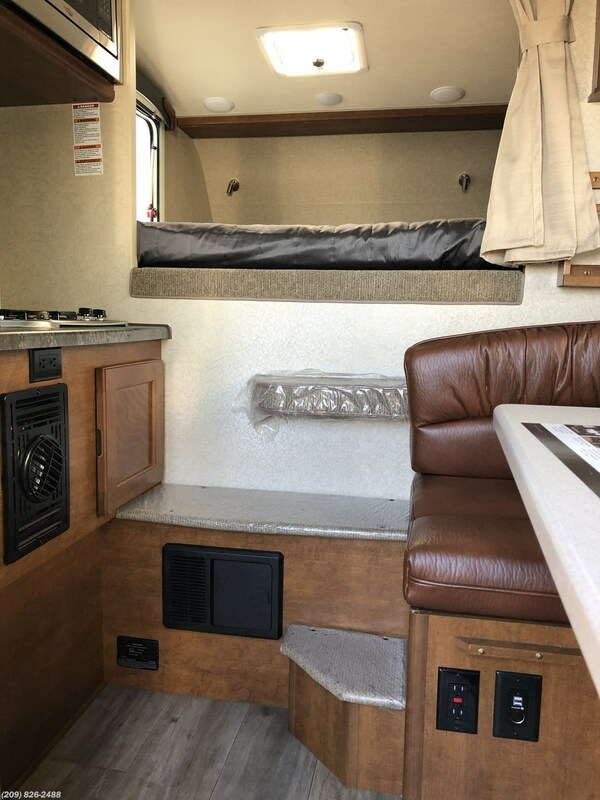 Exterior Height w/Optional 10M A/C 8'1"
Center of Gravity Front 21"
Center of Gravity Rear 57"
Convertible Dinette Bed 32" X 76" Weights Dry Weight w/Std. 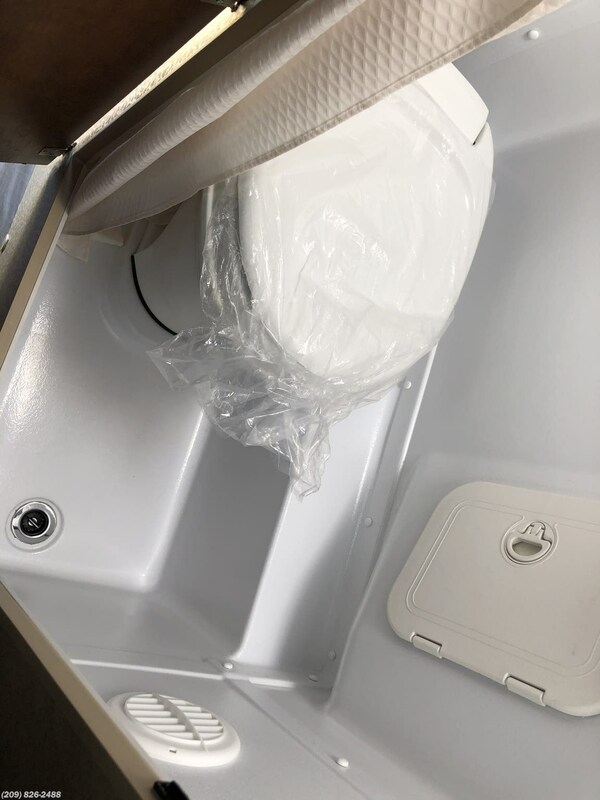 Equipment 1700 Lbs. 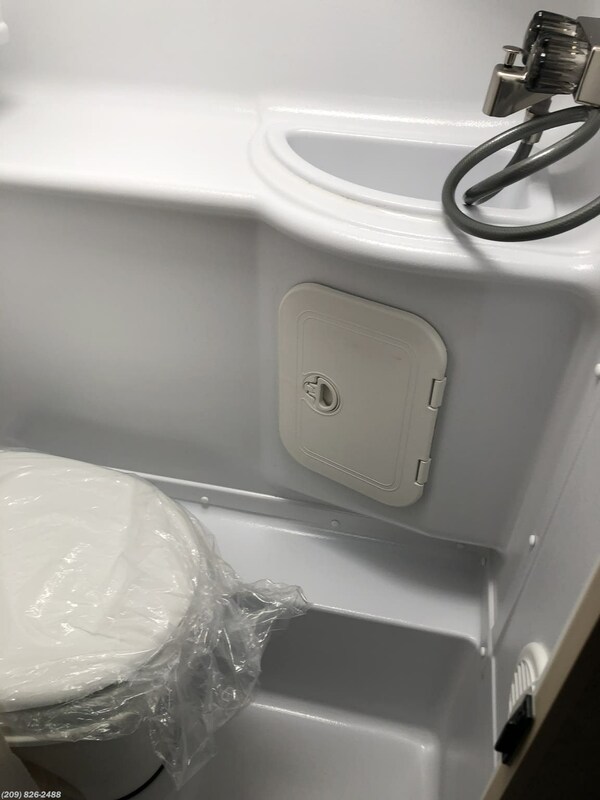 Wet Weight w/Std. 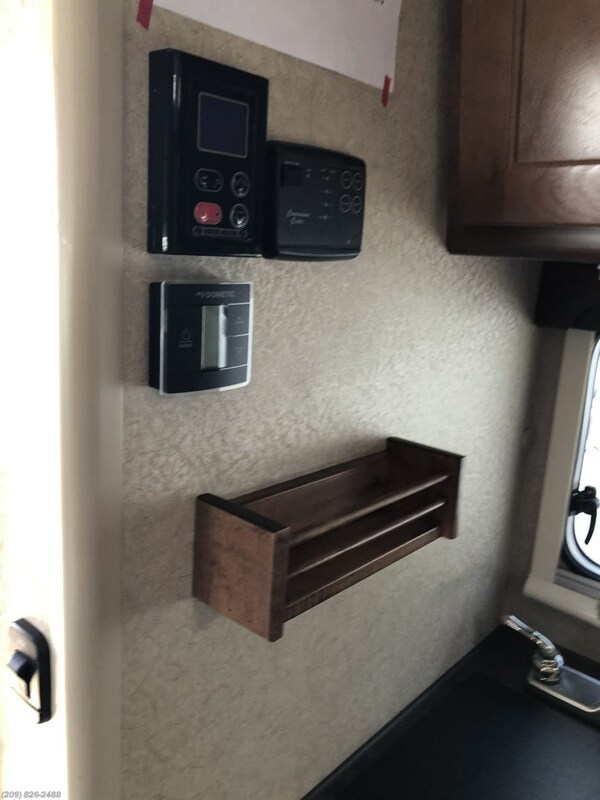 Equipment 1903 Lbs. 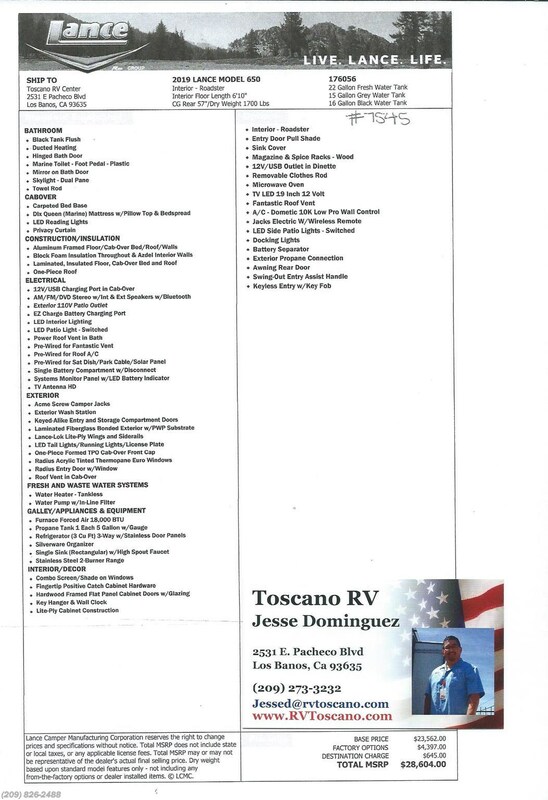 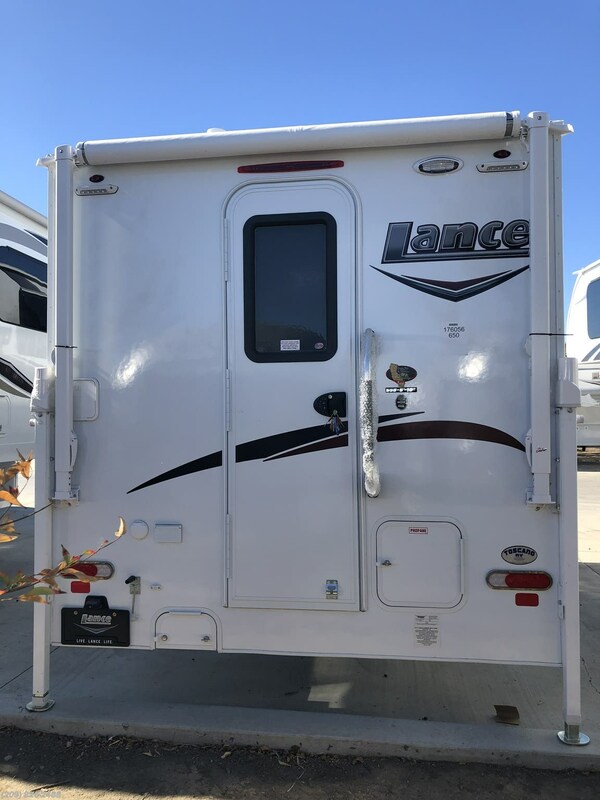 See this Stock # 7545 - 2019 Lance TC 650 on Jesse Dominguez! 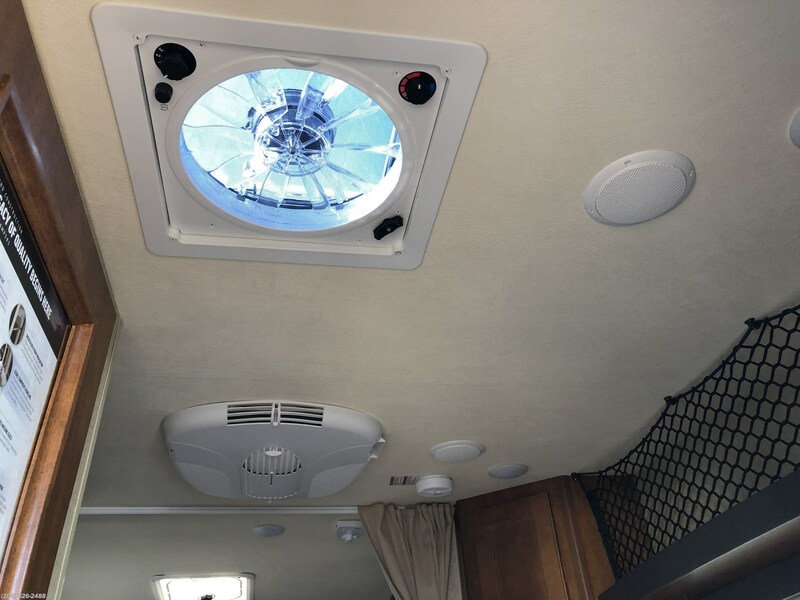 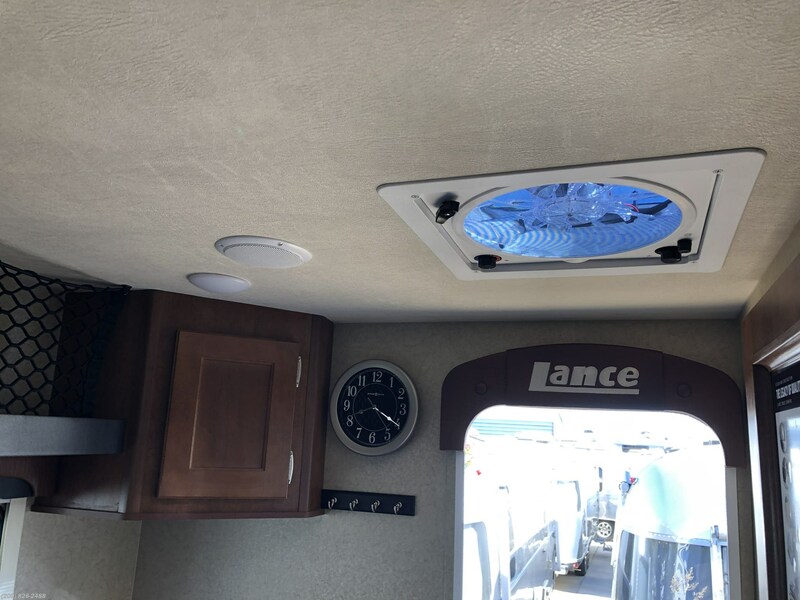 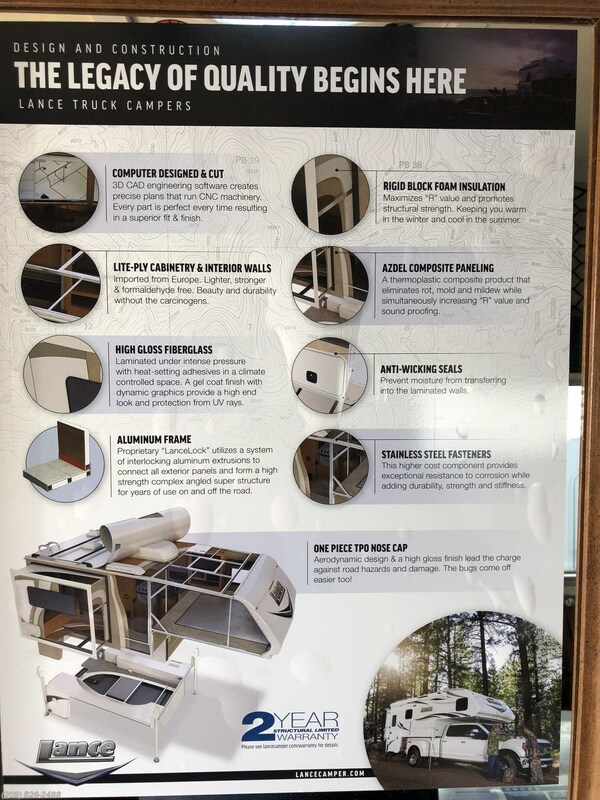 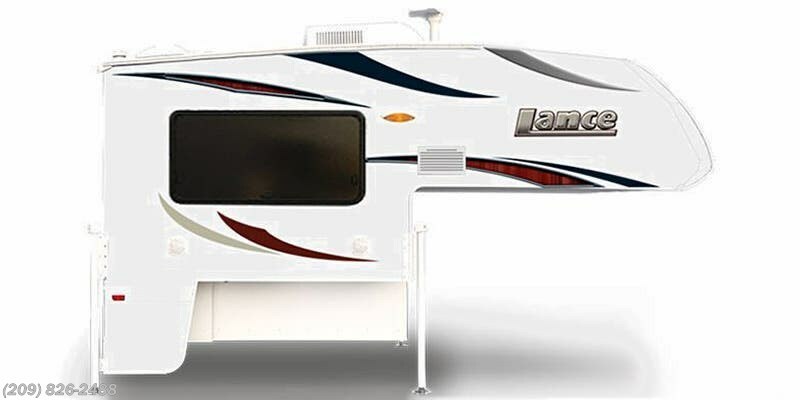 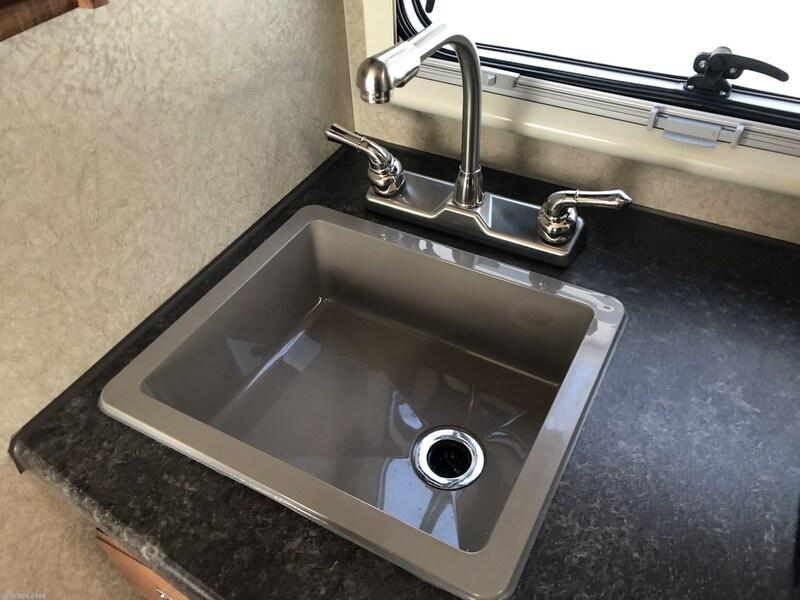 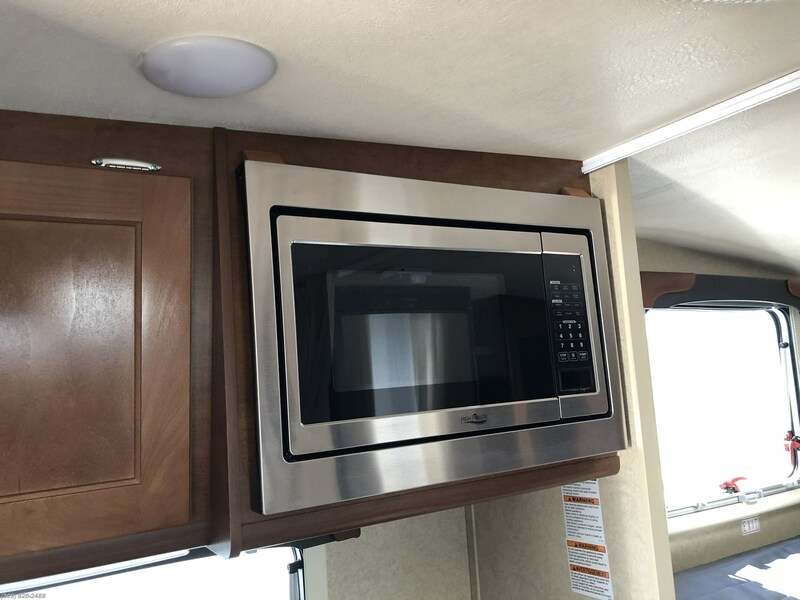 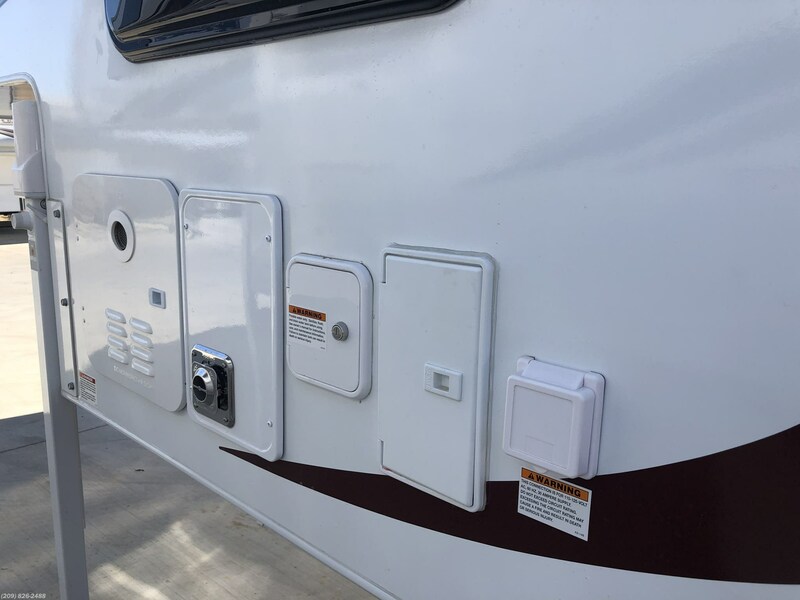 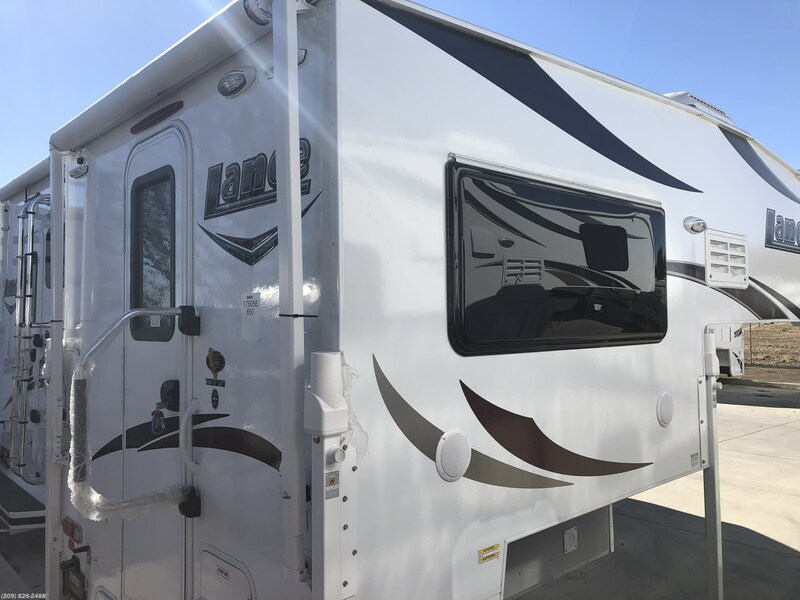 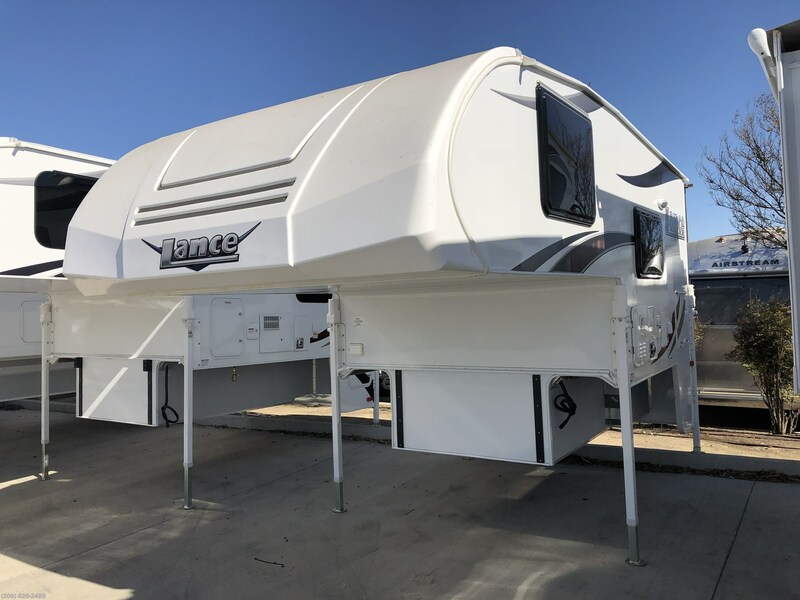 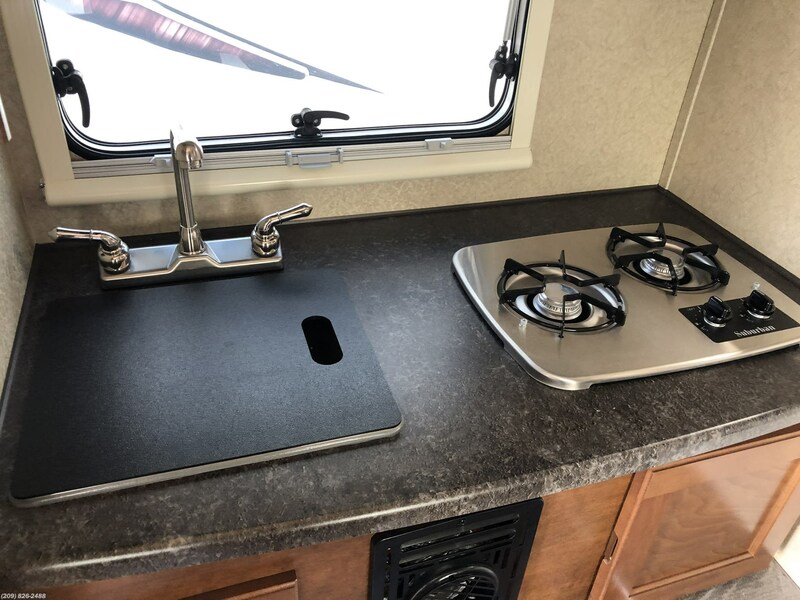 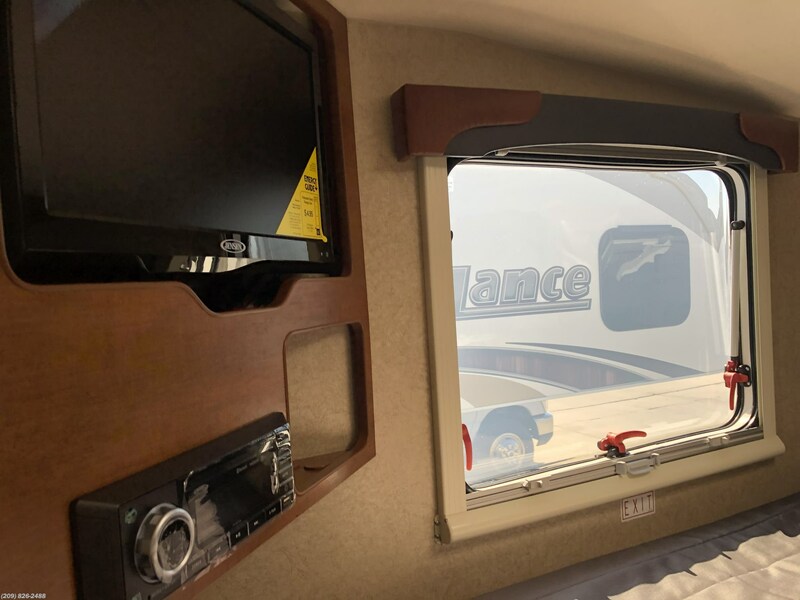 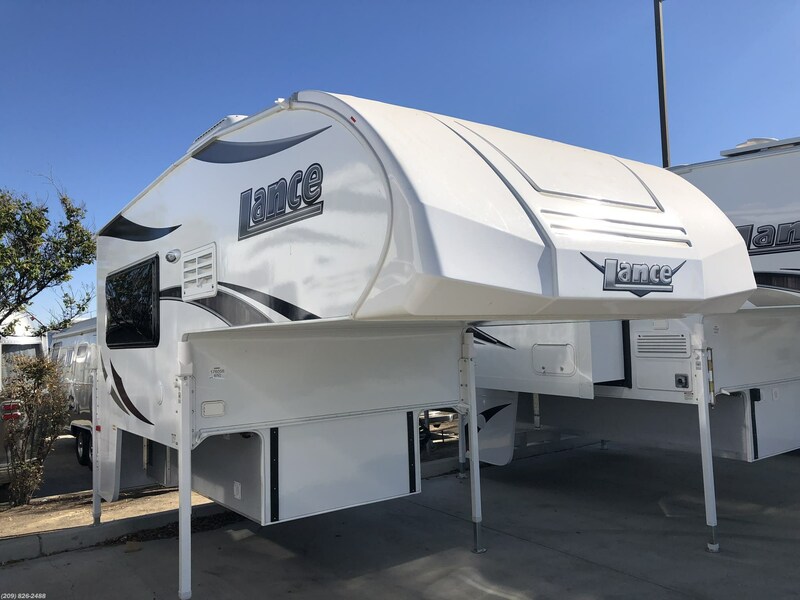 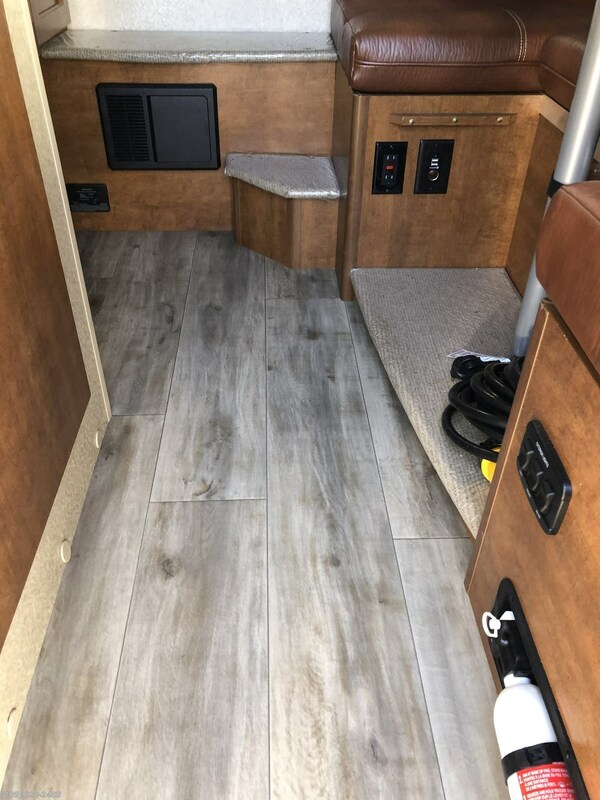 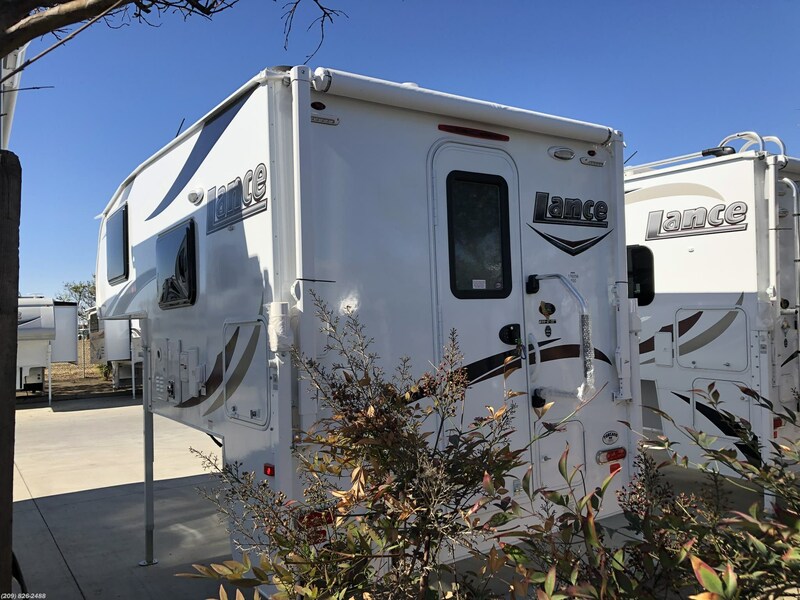 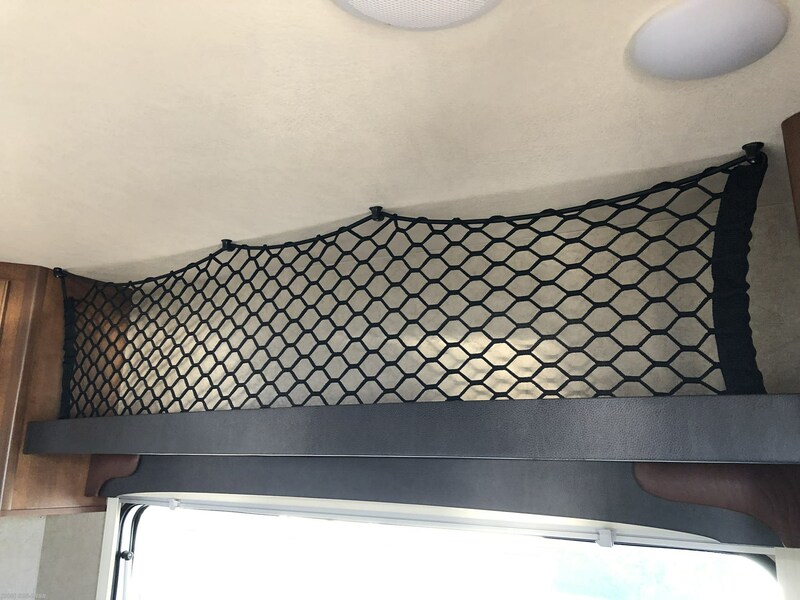 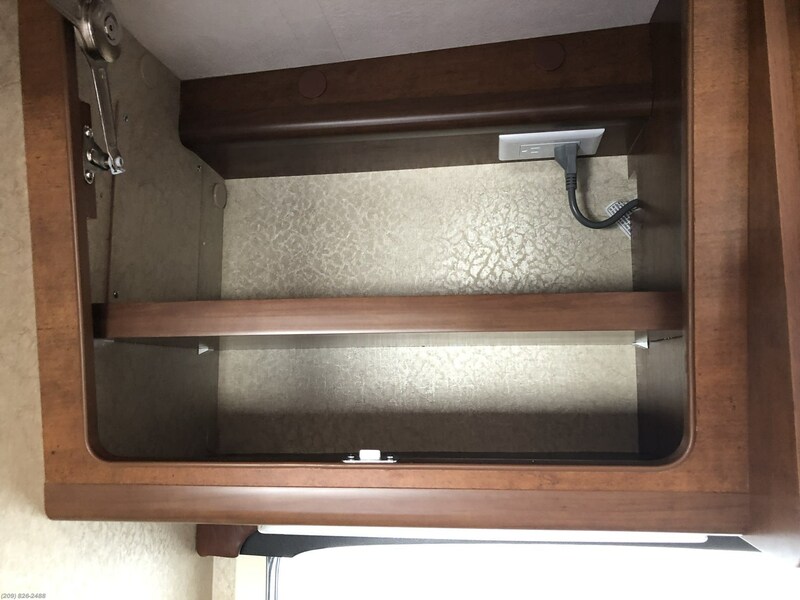 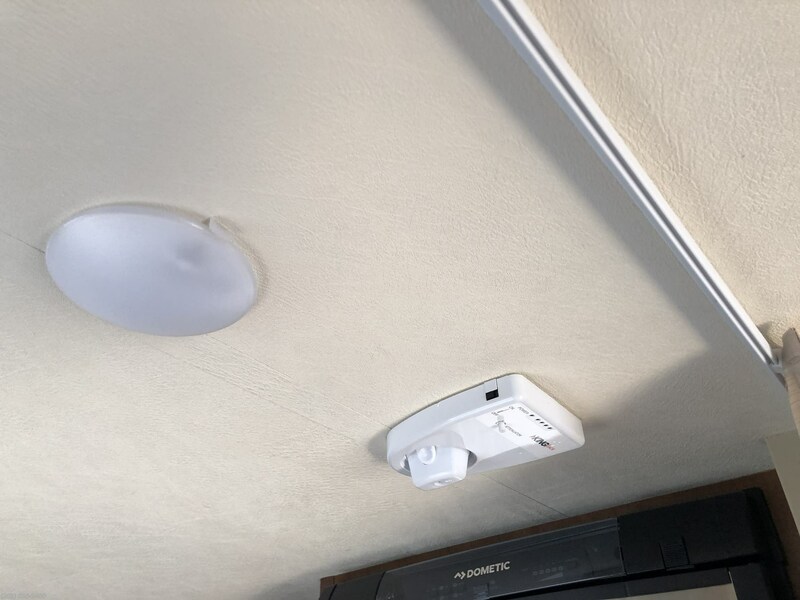 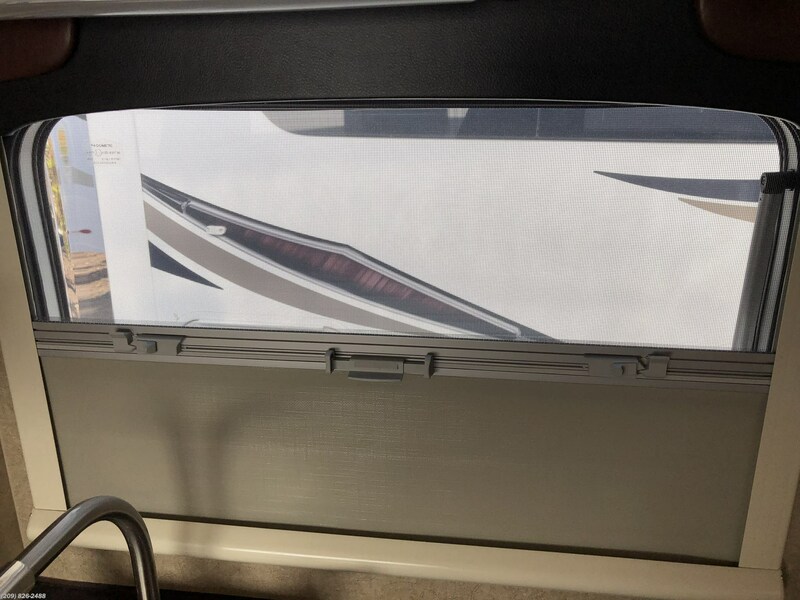 Check out Stock # 7545 - 2019 Lance TC 650 on lancecamperrvsource.com!